In Czech artist Ira Svobodová’s most recent series of works, “Papercut,” she shows mastery over the art of layering materials. Drawing a tension between muted colors and bold compositions, she continues exploring themes found in her earlier work—most notably, the “Noir” series. 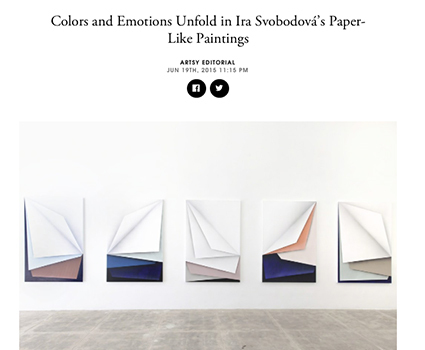 At Los Angeles’s CES gallery, a selection of Svobodová’s spirited but rigorous acrylic-on-canvas pieces, focusing on light’s powerful effect on form, are on display this month.